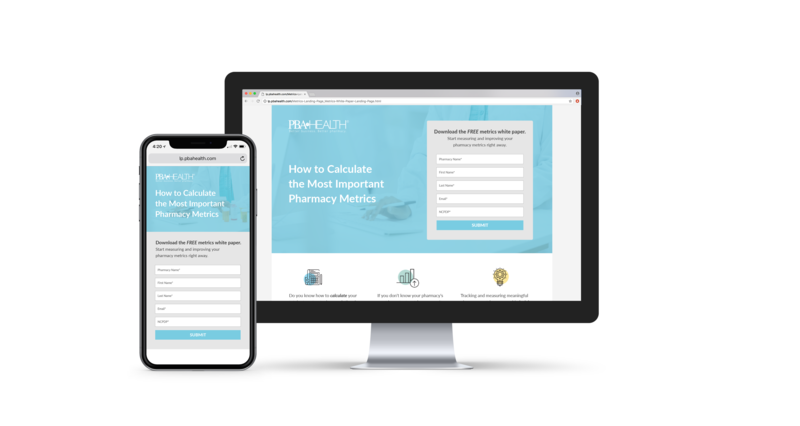 While not the most exciting subject matter, I enjoy the challenge of taking a stale topic (pharmaceutical distribution) and transforming it into compelling content. 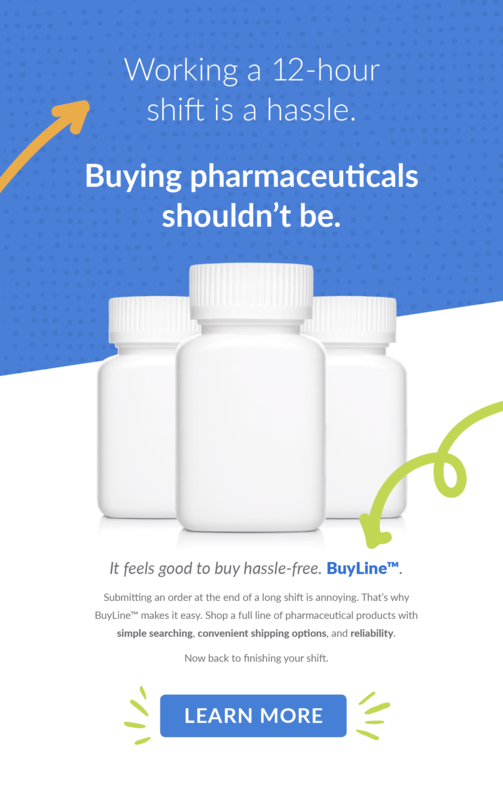 When tasked with promoting the launch of a new online pharmaceutical ordering service for independent pharmacies, I collaborated with others on the marketing team to create a campaign based on the differentiator of “hassle-free.” No competitors were currently making this claim. Armed with that direction, I came up with the idea to write copy that got to the heart of the problems pharmacy owners face on a day-to-day basis. And to juxtapose those problems with the ease of this new ordering service. My plan was to show that ordering pharmaceuticals, which pharmacy owners have to do every day, can be simple and convenient. 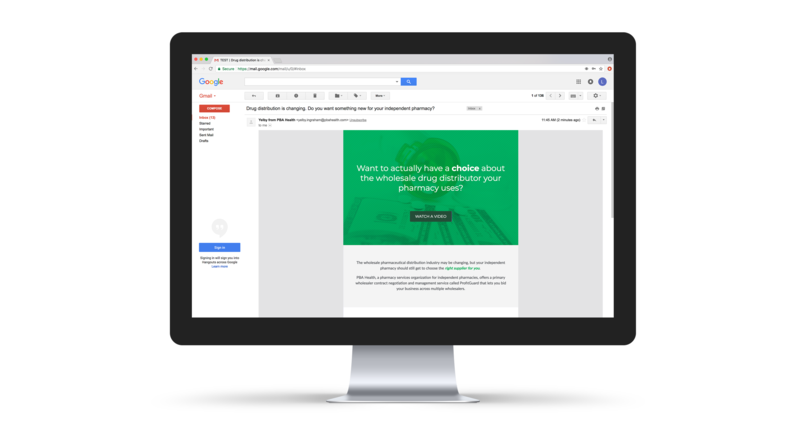 This digital campaign consists of 12 emails, a landing page with a form and a thank you email. I spent a lot of time researching problems that would resonate with pharmacists to create compelling headlines. For example, one of the headlines is “Reject code 76 is a hassle. Buying pharmaceuticals shouldn’t be.” That doesn’t mean much to you or me. But this concept resonates with pharmacists, who have to call a patient’s health insurance company to resolve this insurance claim rejection. When tasked with creating a quick email campaign to help a sales representative react to a market shift, I quickly wrote copy to back up the sale representative’s in-person sales calls. 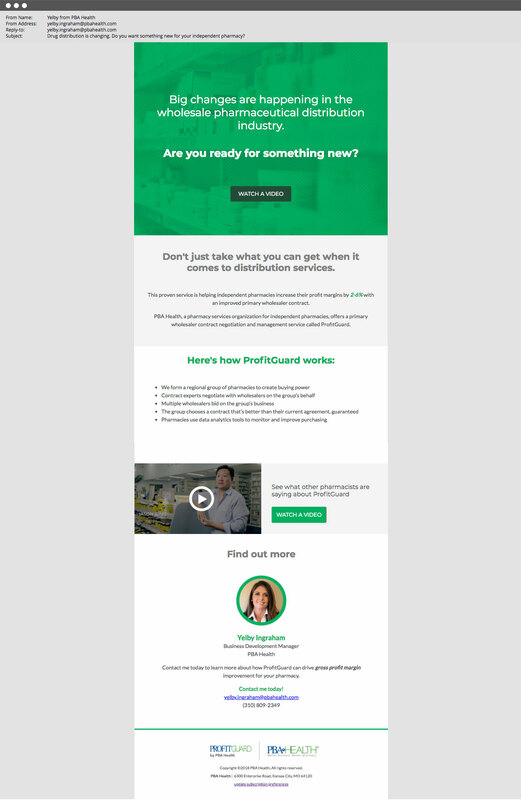 This email campaign introduces a service called ProfitGuard to independent pharmacy owners in a target market area. 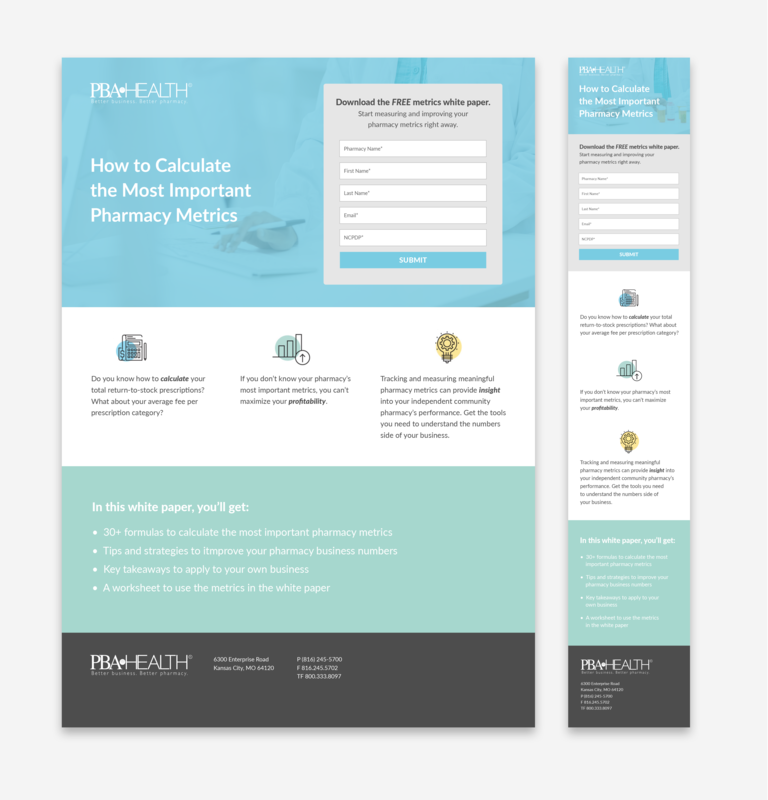 The aim was to pique interest so the sales representative could reinforce the message on her in-person visits to the pharmacies. Content marketing means creating content that resonates with audiences and moves people to take action. 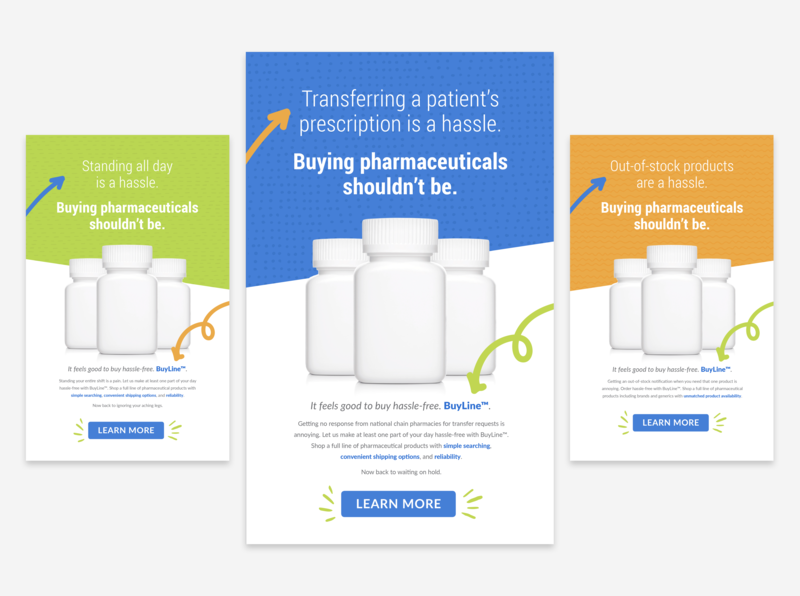 As the Manager of Content Marketing for a small pharmaceutical company, I looked for new ways to repurpose content to gain leads and prospective customers. Because I consistently monitored website performance using Google Analytics, I noticed that one article received consistently high traffic. This article was packed full of specific and detailed knowledge, including formulas and expert tips. I decided to reformat the article into a whitepaper and to create a landing page with a form for the content. 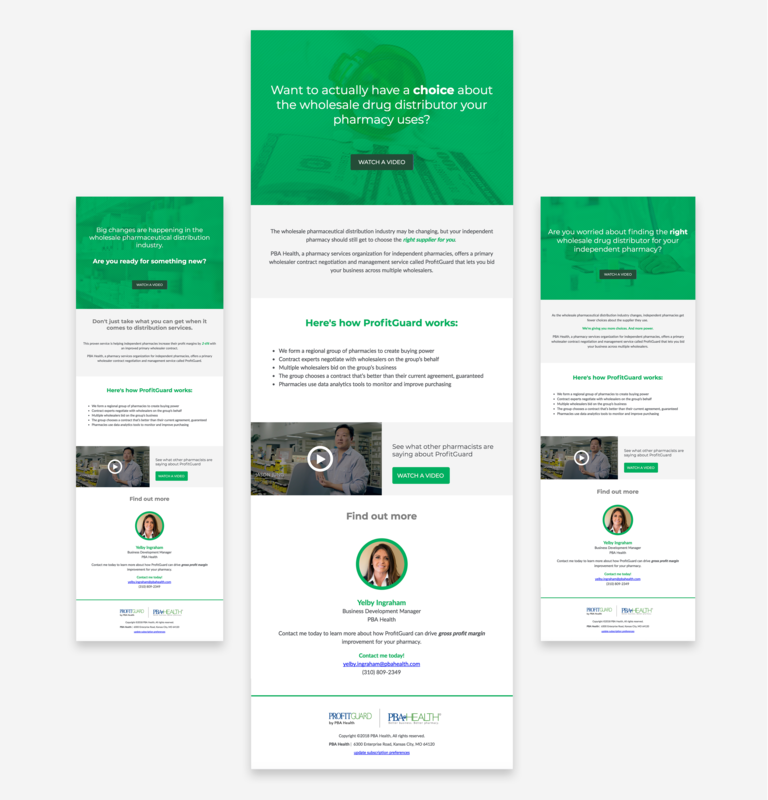 The goal of this gated content was to gain valuable information about potential customers (including email addresses!) instead of giving away this great content for nothing. Readers still received the content (after filling out the form.) But the company gained hard-to-come-by information. 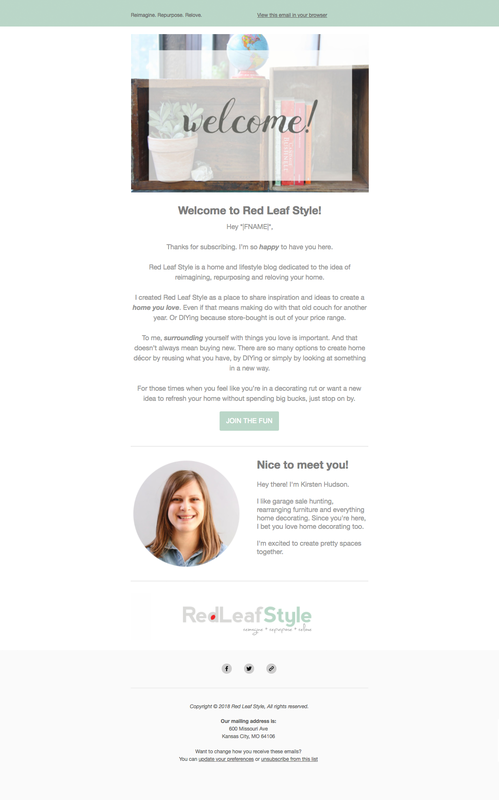 This is an example of an ongoing welcome campaign I created for my personal home decorating blog, Red Leaf Style. This welcome message automatically triggers to send when someone joins my email list. I wrote the copy in this welcome email to reinforce the friendly, casual, ‘let’s hang out’ vibe of Red Leaf Style. 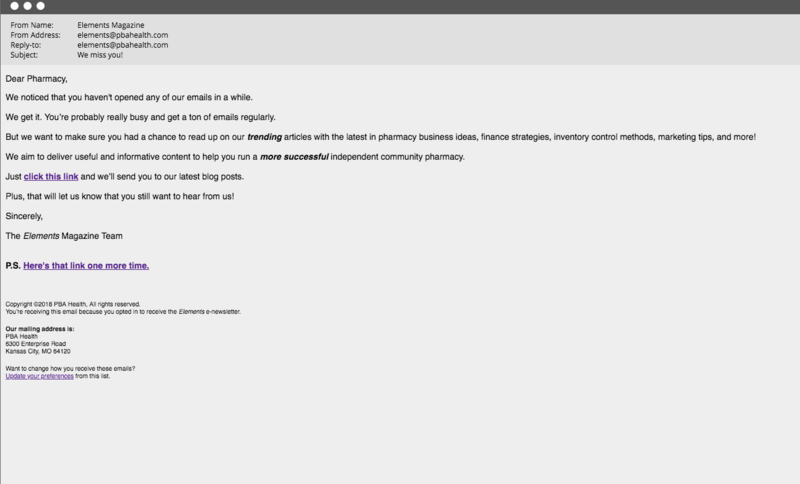 This is an example of a chronic non-responder email I created for the e-newsletter associated with Elements magazine, a B2B publication for independent pharmacies. 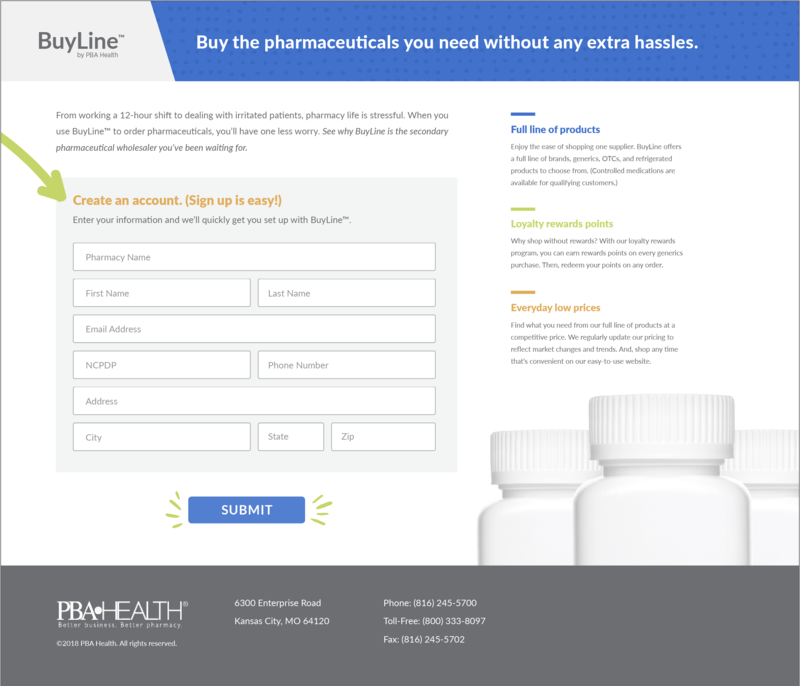 I manage the publication and the e-newsletter as part of my position as Manager of Content Marketing for PBA Health, a small pharmaceutical company. This chronic non-responder email automatically triggers when contacts become marketing suspended, meaning they haven’t opened, clicked, or engaged with the e-newsletter in a set amount of time. Within one day of starting this campaign, we cleaned up our contact list with multiple contacts re-engaging and a couple of unsubscribes. I wrote the copy in this welcome email to reinforce the value the Elements e-newsletter provides, while also keeping it friendly and professional.